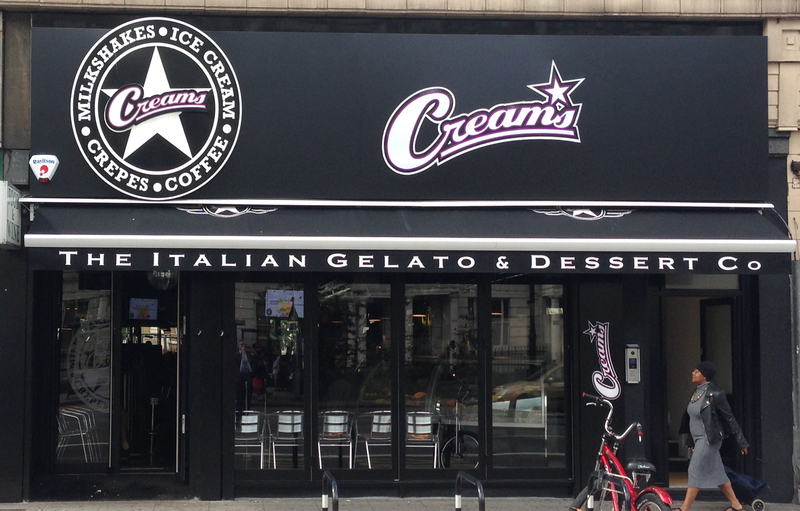 Creams is one of a growing chain, so strictly speaking, outside our terms of reference. But it’s an interesting new addition to places to eat in Brixton, so worth a mention. First, it’s a place to go and hangout, as much as place to eat. And secondly, it’s unlikely to appeal to your typical visitor to Brixton Village. While they say they source the ice cream from Italy the place itself is more North American in inspiration. 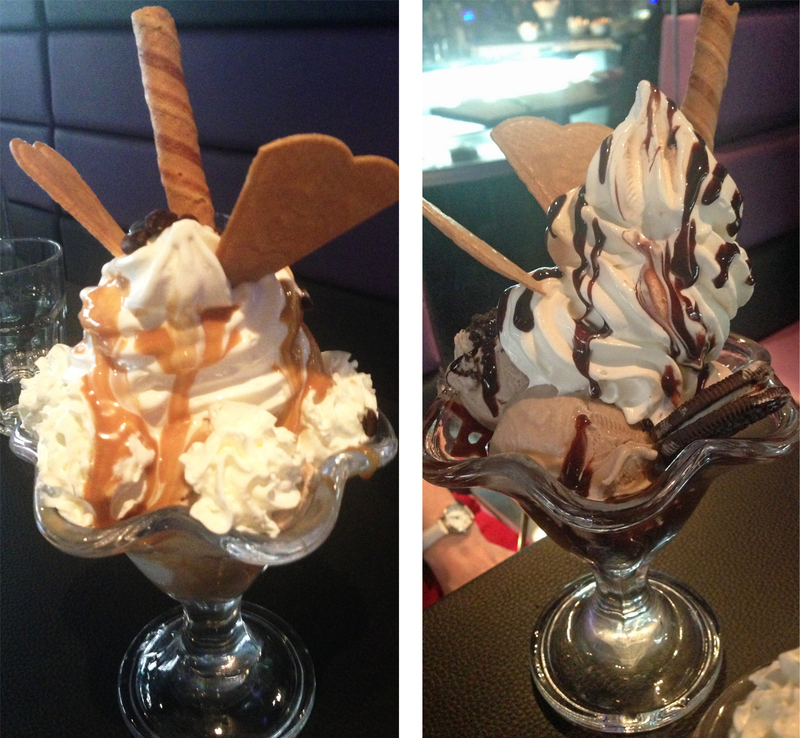 There’s an extensive menu (see here on their website) but it’s almost all variations on the theme of ice cream. My companion had the Oreo Sundae while I went for the Coffee Bean Sundae. The latter came without the chocolate shavings and chocolate syrup promised by the menu but the cappuccino, dolce latte and vanilla ice cream layered with chocolate coffee beans and caramel sauce was sufficient for all but the most dedicated sweet tooth. The ice cream, while nothing special, is authentic enough. There are 15 other sundaes as well as many varieties of “crêpe pancakes”, “giant American waffles” and hot puddings and cheesecake. There is plenty of scope for self-expression by making up your own combinations of ingredients. To drink there are milkshakes and smoothies, as well as a variety of flavours of coffee and hot chocolate. It’s not especially cheap but I guess most customers will get their money’s worth by using it as a place to hang out with friends. Yesterday my daughter went to your restaurant and ordered a waffle covered in syrup. She came home feeling sick and now has a fever. She is continuously vomiting. I am awaiting a call from the manager for compensation. Me and my boyfriend came to your restaurant for our anniversary and was waiting to be seated for two hours. When we were served, the waiter was rude and got our orders wrong twice. After that a long brunette hair was in my ice cream. We asked to see the manager but the waiter refused. Even though it wasn’t our fault that the orders were wrong, we still had to pay for them.